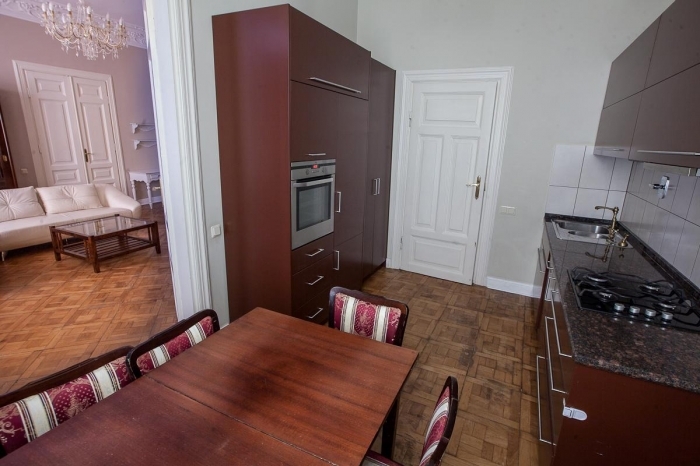 Old Town Klaipedos Street Apartment is a bright, luxurious apartment mixing modern and classic furniture. It is located in the historic Old Town of Vilnius. 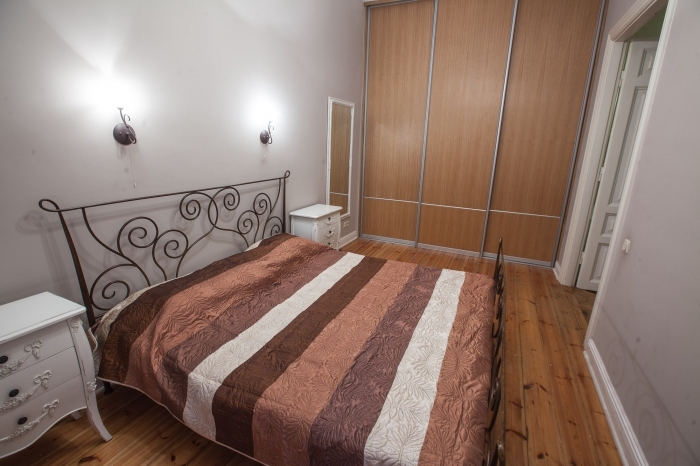 The apartament is located in a historic building, with fresco on the bedroom ceiling, chandelier lighting, historic decorations and marble windowsills. The kitchen however, is furnished in modern style, with granite and dark wood. 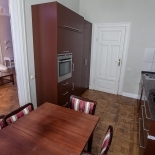 It accomodates an oven, a large refrigerator with a freezer, microwave and dishwasher. Balcony overlooks St Catherines Church. Guests can use Wi-Fi internet free of charge. 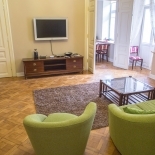 The living room has a large, leather sofa, and a flat screen TV with satellite channels. The bedroom has a double bed and fitted wardrobes. 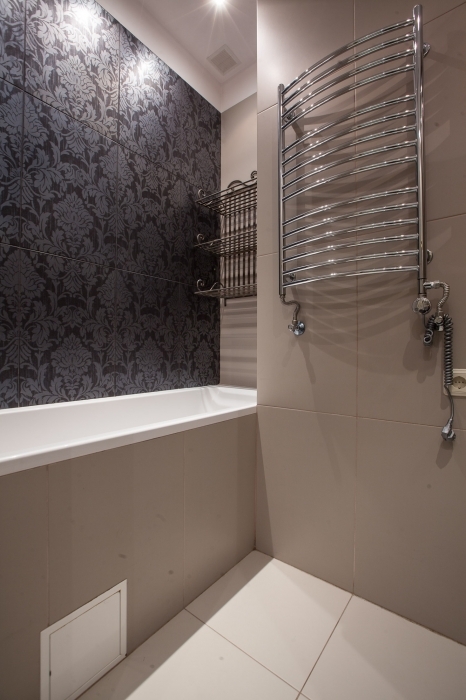 There are both a bath and a shower in the bathroom. It is fitted with a granite sink. 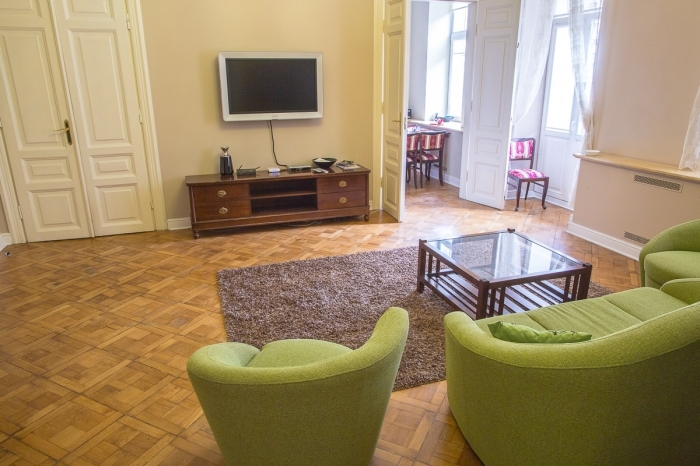 The apartment is within walking distance to the historical sights. Guests can reach Vilnius Castle in 2 minutes on foot. Central business centres are only a 5-minute walk away. Contact us today for best prices and availability.